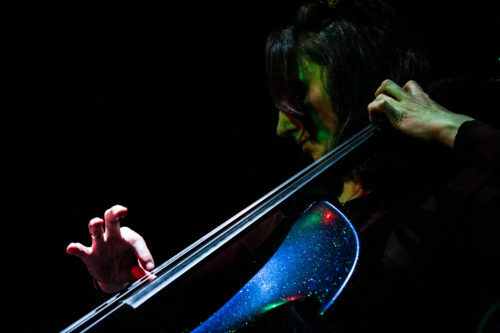 A ground-breaking inclusive electric cello experience by Jo-anne Cox, a contemporary composer and DAO Blogger. Defiant Journey is a sonic saga, told by a musician and her electric ally. It is the story of navigating the highs and lows of life as a neurodivergent artist. Invoking the language of mythology to explore a personal and political narrative, it questions and challenges our stories around identity, the recovery model and mental health. It exposes the cruel vagaries of the welfare state. Following her muse and immersing herself in colour and sound, the artist shares her journey to self-acceptance and a rebellious dance to her own tune. Defiant Journey is an innovative interactive electric cello performance, blending music, activism, storytelling and digital and sensory arts. 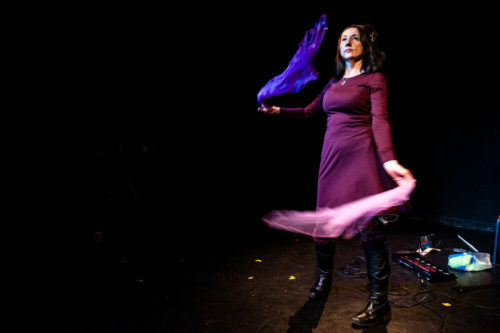 Designed with inclusion at its heart, the performance is relaxed and integrates BSL and audio description, alongside audience participation and innovative tech. Your are cordially invited to a scratch performance on 11th April. Your feedback and insight would be very much appreciated. We are particularly interested to reach out to venues, festivals, small-scale theatres, gallery or events spaces who would like to open up their programming to more diverse audiences. Tickets are free of charge, but booking is required. Find full access information and reserve your place on Eventbrite. Follow this link to listen to the audio flyer. It is supported using public funding from Arts Council England and Help Musicians UK. It is a project led by a disabled artist, with access and inclusion running through every element of the show. The work is also generously supported by project partners Together 2012! C.I.C. and Disability Arts Online.